Got some old jewelry you don't wear? 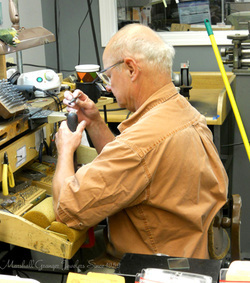 Bring it in and let us help you create a new piece of jewelry you'll be proud to wear all the time. Schedule an appointment now to visit our showroom and talk with a designer. Since 1959, we've been custom designing jewelry for all occasions. From sketching, to wax molding and casting, to hand fabricating and setting, we've been creating jewelry people have been proud to wear. New advances in CAD (Computer Aided Design) technology allow us to also create just about anything you can imagine. If you see a picture of something you like, we can create a 3D rendering of it and manufacture it. Our collection of loose gemstones of all kinds also gives you unlimited possibilities when it comes to design and fashion. If you can dream it, we can do it! 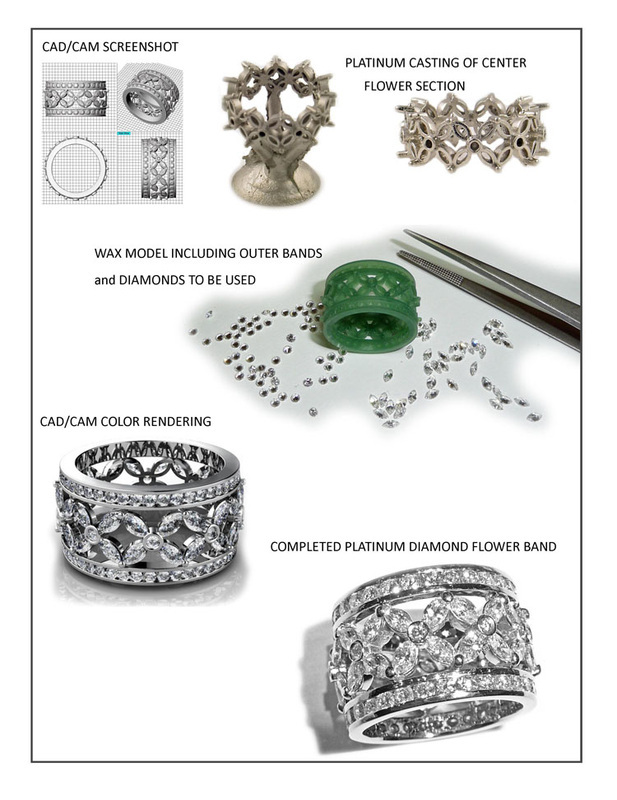 Our Designers, craftsmen, and diamond setters have years of experience manufacturing custom made and one of a kind items for our customers. Let us work with you and help you create that special gift that shows her she is special.